that’s for new cabinets, countertops and labor! 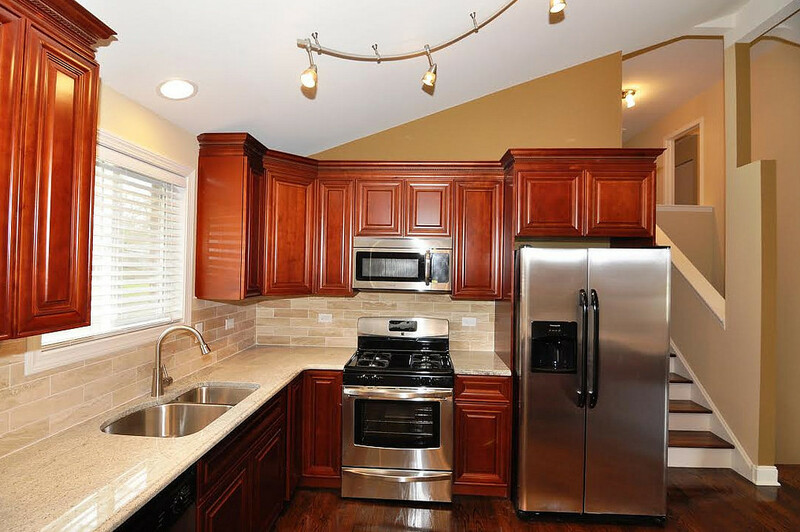 Q: How can you offer complete kitchen remodel priced under $8,000? 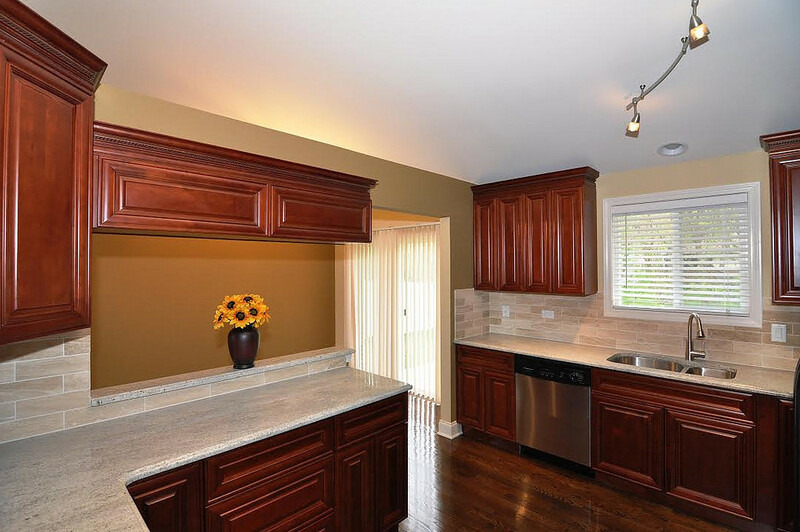 Does it compromise quality or are the cabinets of very poor construction? A: Since 2009 we have partnered with an exporter for kitchen and bathroom cabinets. Currently we carry a line of eight distinctive kitchen designs that are shipped exclusively to us. Since we deal directly with the manufacture the savings for not having a dealer or a showroom between us brings down the cost tremendously, allowing us to pass the savings down to you. Q: If there is no showroom, where can I see your cabinets to make a selection? A: When you call to set up an appointment with our designer please mention that you don’t have kitchen cabinets selected and that you are interested in our in house selection. The designer will bring samples right to your house, take measurements and in many cases be able to give you a budget or a verbal estimate right there and then. Since we have done hundreds of these kitchens to date there are many places where we can take you to show you a completed kitchen and give you a walk though as well. Q: Does that mean that each and every kitchen costs $7,999? A: This budget is used for an average size 10×10 kitchen, where the scope of work would include the removal and disposal of existing cabinets and countertops, installation of new cabinets, installation of laminate countertops, reconnecting of all appliances, sink and faucet. Of course this is just an average, but if you need more then what is described above such as flooring, tiling, electrical, lighting and if your kitchen is much larger then that price would not apply. 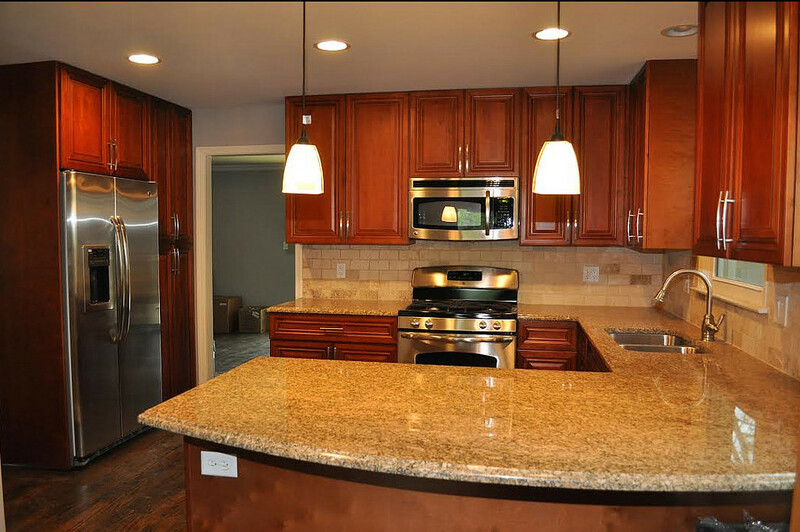 We have done kitchens from $5,000-$100,000 it all depends on your budget and features desired. With the $100,000 you can expect high end appliances which alone can cost $30,000 and futuristic items such as robotic arm servos that open your cabinets by a touch of a button. Q: What is the construction of the cabinets like? A: These cabinets are build with the same manufacturing techniques as many of your top of the line designer kitchens. The box is constructed using 10 ply ¾“ plywood (not your cheep particle boards as used by other manufactures) Full extension ball bearing drawers. Frameless box construction. Solid maple door, full overlay ¼“ reveal. Slow close drawers. Matching interior and end panels stained veneer and dovetail wood drawer box. Most of other kitchen cabinet manufactures offer such items as pricy upgrades with our kitchens all are standard. Q: Since the cabinets are imported, what is the wait time from when measurements are done unit when cabinets are available for installation? A: All cabinets that we carry are stocked in a local warehouse therefore there is no long wait time that you would expect from all the other vendors ranging from 4-16 weeks. We can have your cabinets delivered to you next day to start the installation. Q: Since these are all in stock the selection and sizing must be limited? 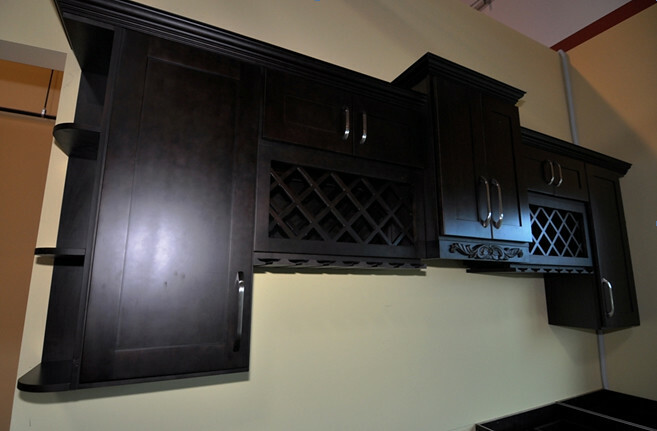 A: We carry over 200 cabinets and accessories for each of the eight lines that we stock. 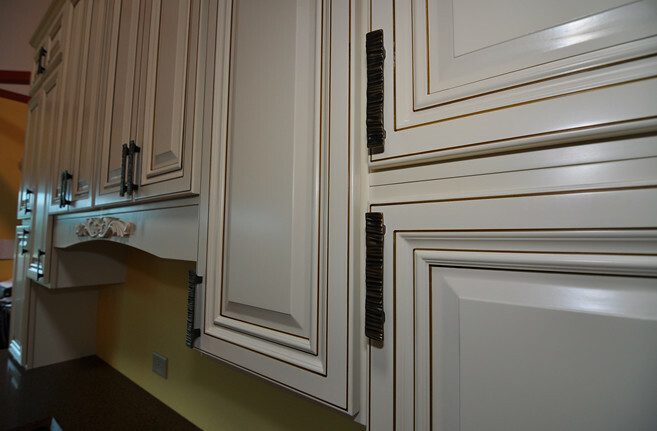 Sizes range every 3” in width, wall cabinets come in 30” 36” and 42” tall. Accessories range from glass holders to spice racks to decorative valances. We can insert glass panels in any door and many in house customizations are available. Q: What if cabinets come damaged and what is your warranty? A: We offer one year parts and labor on our kitchens. On top of it the best part of having a in stock products is that if something gets damaged in transit or while on the job site it can easily be replaced without any downtime. When dealing with vendors that take 4-16 weeks to fabricate each order, getting any replacement peace can also take a long time. In the meantime your kitchen project is on hold and many times by the time damaged items are discovered your old kitchen may already be demolished leaving you without a kitchen during the downtime. Q: What if there is an error made as to sizing or I would simply want to make minor changes to the layout, for example change out a base cabinet with a drawer cabinet? A: There are couple ways in handling this issue. If sizing was done wrong due to our designer, we will make any necessary corrections at no cost to you and without any downtime as answered in the previous question. If you the homeowner decide that you would like to add something extra such as the crown molding or a scribe and the order was already delivered, in such situation we would quote you an additional work order which would include the cost of the labor and material plus a $100 handling and delivery charge for us to bring in additional items. If you would decide that you want to tweak the layout such as changing base cabinet for a drawer cabinet or three 12” cabinets versus two 18” then your cost would be the cost difference between items changed $100 handling and delivery charge and 20% restocking charge for the returned items. We believe that these are all very favorable conditions to the homeowner since when dealing with special order vendors nothing can be returned, any extra items would cost extra and not to mention the downtime associated with such changes.